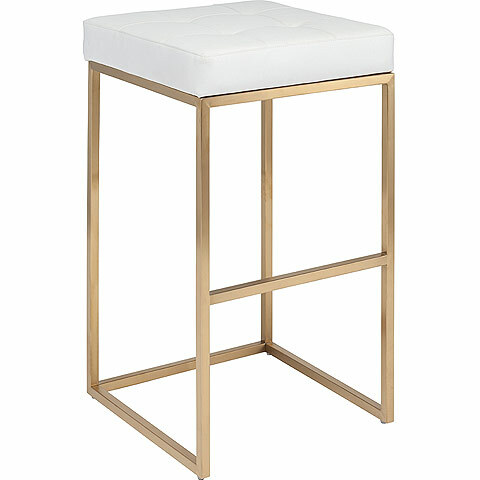 The Chi Bar Stool is modern style personified. 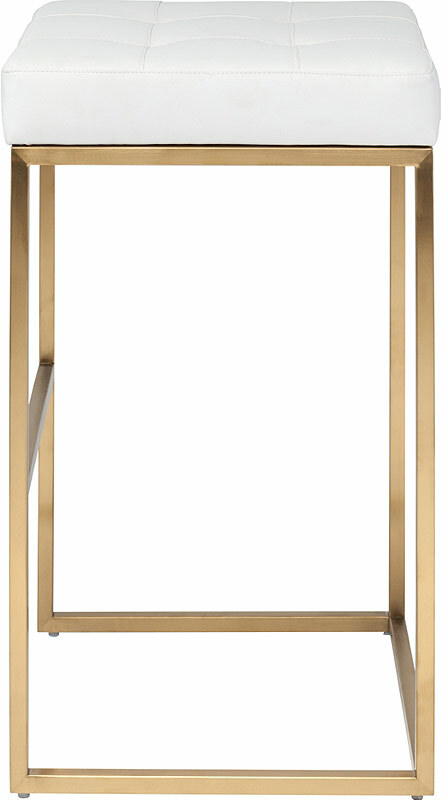 Crafted for commercial use with a brushed gold or stainless steel frame, Chi boasts lines that are all about simplicity. The cool modern frame supports a cushioned naugahyde (a vegan alternative to leather) seat crafted from CFS foam. 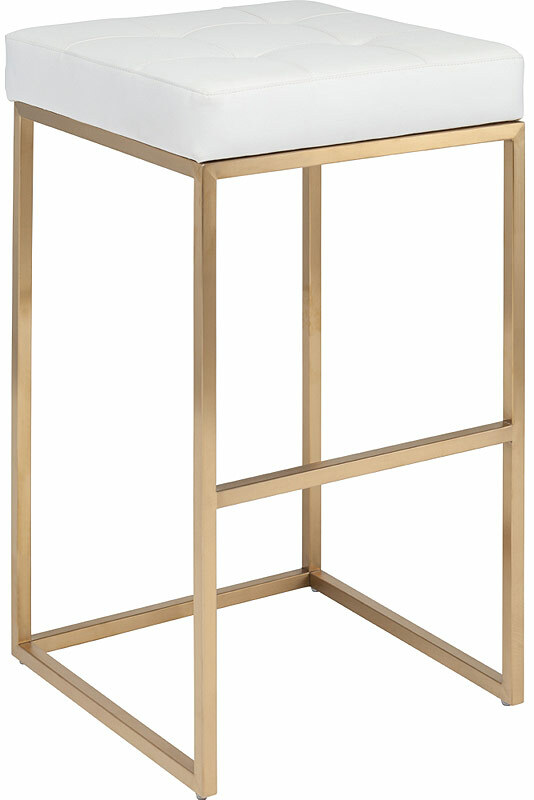 Available in a variety of distinctly modern color combinations, the Chi Bar Stool is sure to complete your modern kitchen. Seat height is 29.75"; seat depth is 17.75". Coordinates with the matching Chi Counter Stools. 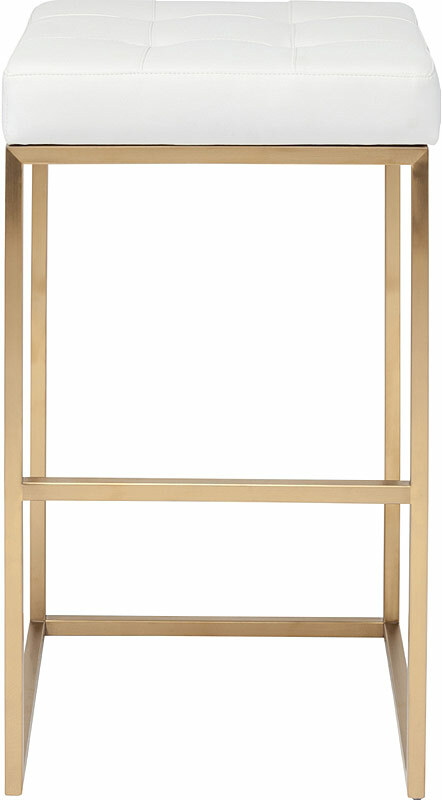 This item is priced individually, and only sold in MULTIPLES OF TWO (2).